While deciding what to post today, I came across this quote from Erik Qualman that I have included in many of my social media talks over the years. And while most people would agree that social media has moved from the “nice to have” bucket to the “must have” bucket, I don’t think many companies fully “get it” in terms of execution… the “how well we do it” part of Erik’s quote. Large corporations who definitely “get it” and execute their social brand strategy well are Sephora, Taco Bell, GoPro, and FabFitFun, to name a few. Their campaigns are branded, fun, engaging, and relevant to their target audience. So what are the big boys doing that smaller brands can’t or don’t do? For starters, large companies have big budgets for marketing, affording them resources in terms of staff time, creative art and design, and TIME. And while many small companies can’t afford a to earmark a large budget for marketing (specifically social media marketing), I think they swing too far in the other direction by not allocating ENOUGH budget and by taking shortcuts. And shortcuts usually lead to, not surprisingly, ineffective execution. So, how can you do social media right? There are many factors that make up a great social media strategy, but today let’s focus on what we consider to be the most important… engagement. Social media is not a one-way communication. What would you do “IRL” (in real life) if you asked someone a question and they looked right at you without answering? It would be really weird, right? It’s no different to put up a Facebook post and then never acknowledge a comment. Just posting is not enough. ENGAGING with your tribe is one of the main keys to doing social right. Of course, engaging takes time… the time to monitor and the time to respond (in a timely manner, no less). This is where Cosmetic Social Media helps companies and brands who can’t dedicate a full-time staffer to social. We craft relevant, engaging, and beautiful posts, plus we monitor and respond throughout the day to comments. And we do this 7/365. Why is investing in this type of engagement is so important? Social media is an online extension of YOU and your company. A way to be up close and personal with your clients when you’re not face-to-face… which, when you think about it, is a good percentage of the time. Social media is first and foremost SOCIAL. The back and forth conversation is expected by the consumer. They don’t think about marketing budgets… they think about getting what they want when they want it. This is the new norm. If you need help keeping up with your social media posts and monitoring, we can help tailor a package to fit your budget and needs. Just give us a holler by filling out our contact form, or emailing us at info@cosmeticsocialmedia.com. Or go #oldschool and call us at 1-877-401-5485. We’re guessing that Generation Y (aka Millennial Women, born after 1980) are a HUGE target audience for your practice. But market to them in the wrong way and you’re sure to lose them. Forbes came out with an article today which had some excellent insights about this influential group of women. “When it comes to engaging Millennial women, brands that talk about themselves won’t cut it.”<< note that last part! Despite our (sometimes nagging) insistence for our clients (and anyone who will listen, actually) to focus on their customer instead of themselves, many clients refuse to let go of old marketing messages. Well, maybe now that Forbes is saying it too, businesses might listen (we can only hope). We’re bombarded from every angle all day, every day, with marketing messages. Every surface (in real life and digitally) is being cluttered with ads. And we hear it over loudspeakers, while watching videos, TV, movies, etc. I noticed this quite jarringly the other day when I was filling up my car with gas. And I thought to myself, “I did not ask to know that!” I actually felt slightly invaded and mildly irritated at Shell Oil. Aren’t I paying enough for gas that I don’t have to be additionally marketed to while waiting for the pump to do its thing? The pump is already covered in marketing paraphernalia, and the speakers overhead talk about going inside to buy yourself a snack. So, yes, let’s add another layer by adding video. And you may be thinking, “Monique… you are a marketer. Aren’t you part of the problem?” And yes, while all of us here at Cosmetic Social Media do marketing for a living, we are acutely aware of people’s space. This is especially important in the world of social media. Social is NOT the place to be overly salesy. 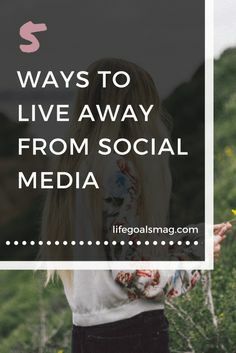 People are on Facebook and other social platforms to connect with friends, family, acquaintances old and new, organizations, their favorite teams, and yes, brands. They want to have fun, learn a bit, do some research, listen to some cool music, watch a funny video… but they are not there to be bombarded by marketing pitches. So, make sure you think about things from their perspective the next time you think about posting a “call to action” sales pitch about the latest special you’re offering. Sure, sometimes that’s fine. But think about it: wouldn’t you rather be a positive part of their day by sharing a funny picture that makes them giggle and want to share it with their friends? Your brand name goes right along with that giggle and share, but in a positive way, versus a way that makes them hide your post, unlike your page, or even never buy gas again at your gas station (I’m talkin’ to you, Shell Oil). It would show your commitment to patient communication goes beyond your office walls. With your Facebook page, you have built an online community of friends and fans where fun and interesting interaction happens. Patients love to be a part of that. It would give them something totally unique, fun (and educational) to read while they wait. What a great first impression! It would demonstrate trust. Seeing posts from fans never fails to impress. It would be a great way to gain new followers on Facebook (and any other online networks). Believe it or not, your patients might not know you are active on Facebook, so this will get them motivated to join in the fun. So there you have it – a little social media decor advice from your favorite social media butterflies! And please share with us your creative ideas for bringing social into your office in the comments below or on our Facebook page! Almost 27k Shares? How NorthWest Music Scene Did It. Now, I don’t have an answer to the guitar question, BUT what I DO find interesting is the way the NorthWest Music Scene approached this post. They kept the text down to just 13 words: “Who is your favorite guitar player of all time. This should be interesting.” It’s simple, easy to read as you scroll by, and by saying “this should be interesting” they indicate that they really want to know what you think! Who wouldn’t want to chime in?! They asked the question on the graphic. This is a great practice. But — this in and of itself is not out of the ordinary or what impressed us. They asked for the share on the graphic. This is a really savvy move for a few reasons: 1.) Most posts have the majority of the words in the text area, versus in the graphic. People don’t always make the time to read a long post, especially from a brand. The graphic is more likely to catch the user’s eye as they scroll down their news feed. 2.) By asking for the “like, share,etc” in the graphic, they are skirting FB’s new clamp down on “like-baiting” completely. Confused? See this post for the deets. They used a casual phrasing style: “…see what your friends say” feels really personal and friendly, versus spammy. Want to share your favorite guitar player of all time? Or just have a comment about the NorthWest Music Scene post? We’d love to hear from you! *Of course not all 26,290 shares came from their fans. Some were friends of fans who shared the post = viral). Can You Really Determine the ROI of Anything? Yes. Whether I’m giving a presentation to hundreds of physicians about social media or speaking one-on-one to a prospective client, I always get the same question: What is the ROI of social media? What’s the ROI of your nursing staff, or patient coordinator? Your copier? Your waiting room decor and coffee service? Okay. The point is, you can determine the value of just about anything, social media included. And to prove it, I’m bringing in a heavy hitter to help explain it better than I ever could. Gary has a gift for distilling down any topic to something that is both easy to understand and easy to relate to. This quality makes him a brilliant communicator. He’s funny, quick, offensive to some, and brilliant. He “gets” marketing, and more importantly, the FUTURE of marketing, and for that I love him. Please take two minutes and click through this great slideshare from Gary. It’s well worth your time and you’ll feel much clearer on the whole ROI topic, I promise. Are you going to be in compliance with Canada’s new rules anti-spam legislation (CASL) set to launch July 1st? You’re going to need to start removing the “Forward to a Friend” button from your emails, as this is not in compliance. I just returned from the American Academy of Cosmetic Surgery (AACS) Annual Meeting Meeting in Hollywood, Florida where I gave a power-packed talk on the 12 things you need to do in 2014 for social media success. Here is the slide deck I presented – so take a look, make some notes, and even download if you so choose. All of us here at Cosmetic Social Media are here to help you make the best possible online impression. To see our other presentations, check out our SlideShare channel! What better excuse do you need to come visit us, right? Save $450 when you register by this Friday – October 25th! 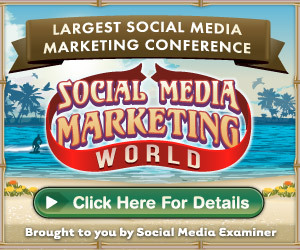 Social Media Marketing World 2014 is a conference designed to help you master social media marketing (brought to you by Social Media Examiner). Join Chris Brogan (co-author of The Impact Equation), Mari Smith (co-author of Facebook Marketing: An Hour a Day), Michael Hyatt (author of Platform), Jay Baer (author of Youtility), John Jantsch (author of Duct Tape Marketing), Amy Porterfield (co-author of Facebook Marketing All-in-One for Dummies), Mark Schaefer (author of Tao of Twitter), Michael Stelzner(author of Launch), Steve Farber (author of The Radical Leap), Laura Fitton (co-author of Twitter for Dummies), Lee Odden (author of Optimize), Joe Pulizzi (author of Epic Content Marketing), Simon Mainwaring (author of We First), Cliff Ravenscraft, Pat Flynn, Marcus Sheridan –just to name a few. Customers won’t be ignored. They have tools at their disposal that give them immediate access to brands and businesses. But who is listening to this empowered consumer? Is your practice prepared to handle what Brian Solis calls “Generation C” (the connected consumer) for whom sharing experiences with others is key? Relationship marketing – what we feel is the next iteration of social media – requires more than a mere presence by your practice. Throwing up a fan page on Facebook and Google+ and hooking up your blog to auto-post some impersonal message is not enough (and we contend it never was, but that’s just us). This kind of automation of content is not personal, it is not engaging, and the viewer can’t even tell if it’s relevant to her, so why should she bother clicking to read more? 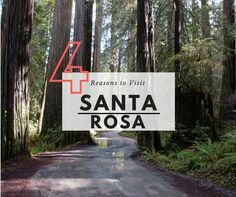 By inviting you to connect with him personally over a cup of coffee, Peter is setting the bar much higher than most – and with good reason. Relationship marketing is where it’s at. Savvy businesses who understand that expectations are higher than ever are busy building deeper connections to their consumers that are next to impossible to break. Social platforms have become a key means by which consumers (and patients) communicate with brands and each other. Rather than thinking about your social media expenditure as “marketing”, think of it as an patient retention tool. Remember when nobody thought the fax machine would ever take off? “Why would I EVER need to get a piece of paper to someone immediately? !” But they became the norm instead of a “nice to have”. Think of Facebook, Twitter, Google+ and the rest as your new norm.